Many retailers struggle with optimizing their training budgets, people’s valuable time and organizations performance goals through a highly effective and efficient training curriculum. It should begin with an “end in mind” of solving for pain points while ensuring a compatible integration within a client’s Learning Management System, performance development system, KPI trackers, etc. TPG clarifies essential functional competencies and proficiency levels that, once improved, can lead to consistent performance improvement. TPG includes a robust blend of Industry best practice TPG course content, existing client courseware, external training options as well as delivery methods that are engaging, efficient, and most importantly, effective. Assessment & Recommendation: Objective detailed review of client’s existing training curriculum benchmarked against TPG extensive library of Industry Best Practice content. 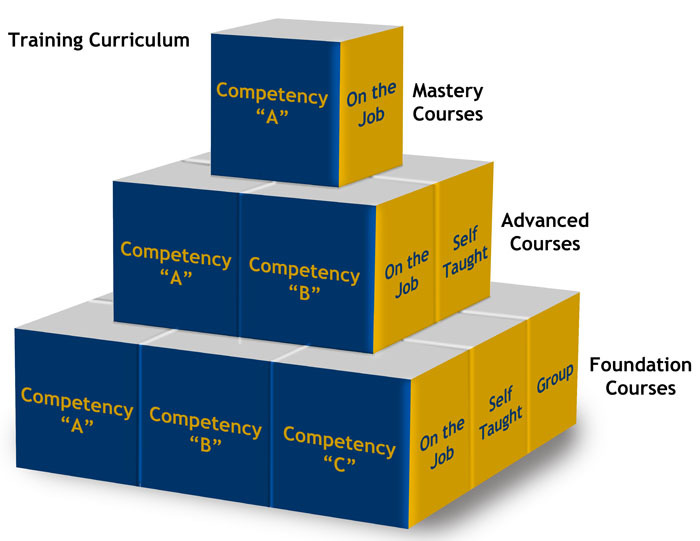 Competency-based design: Reflection of competency and proficiency levels within matrix deign to create curriculum offerings. Blended Delivery Mix: Development of client-friendly mix in delivery blend for budget, time and relevancy. Integration to client systems: Assurance of fit within client systems that enable the curriculum to gain traction e.g. LMS, Training Plan Maps, Performance Development Cycles, etc. Experiential based training On the job: Facilitated pilots as a training between trade partners and on-the-job practicum as a means for a highly effective learning path. Extensive resourcing of Best Practice content: Utilization of an optimum mix between client existing, TPG courseware and external training for curriculum. Criteria and vetting process created.